The Swahili word for pepper pepper is pili pili. Piri Piri is based upon the Portuguese interpretation of that word. 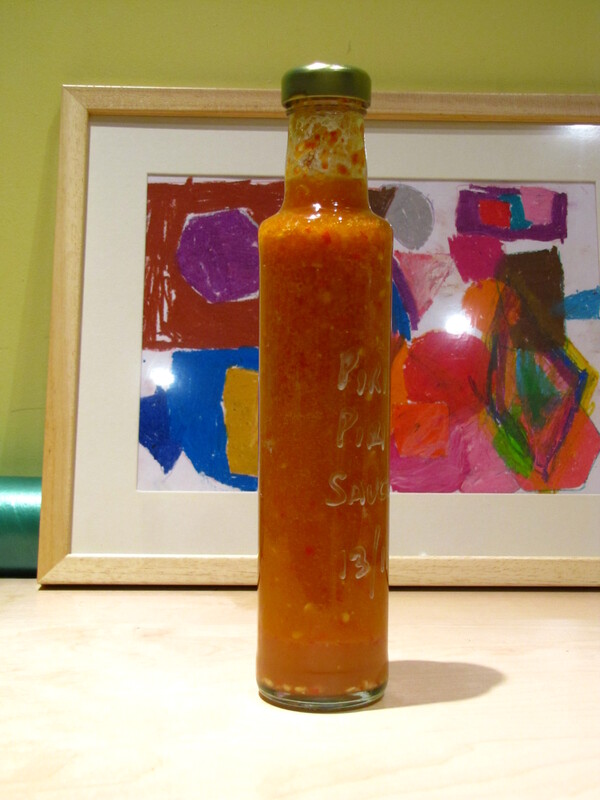 This hot sauce is a very popular and traditional recipe based upon the Angolan and Mozambique sauce and is used to add flavor to many dishes. It can be more or less hot depending on your preference. It can be used to make many different popular dishes like Shrimp Mozambique or Frango Piri Piri, make some and try this delicious sauce out! 1) Put the chili peppers, garlic, salt and vinegar in a blender and process until smooth. 2) With the blender running, slowly pour the oil into the blender. Adjust seasoning with salt. 3) Store in a small jar, serve whenever you want and enjoy!